When it comes to handling removals Chinatown has one option to offer you in order to ensure the hassle-free completion of the task – that is to call us and have our team of very competent, skilful drivers and technicians take care of the task for you. All our employees have years of experience in providing high quality moving services and they know every little trick of the trade. They operate with tested methods, professionalism and care for the detail. While we are handling your removal in Chinatown, you will definitely not have to worry about a single thing. Ever since we have established our moving company, we have dedicated ourselves to living up and exceeding the expectations of all our clients. We have the confidence to say now, five years later, we are on the road to success. Everyone for whom we have ever worked has sent us positive feedback regarding the quality of the moving services we’ve provided, and recommended us to a friend, neighbor or family. Around the clock customer service support via our call center coordinators. Clean vans, safety blankets and GPS coordination, so that our skilful drivers can find the shortest and most efficient way to tackle the job. A variety of moving services – domestic and commercial; packing and unpacking services, storage, rubbish removals. If you thing that we are the right people for you, do not hesitate to get in touch with us using our easy to use online contact form, or by calling us for booking and a free no obligation quote (with no hidden taxes and additional charges in the end of your moving day) on the phone numbers provided here. If you want to set up your home in a lively and exotic place that is still part of London as you know it, then Chinatown would definitely be the perfect choice for you – and we will help you get the job done quickly, efficiently and hassle-free! 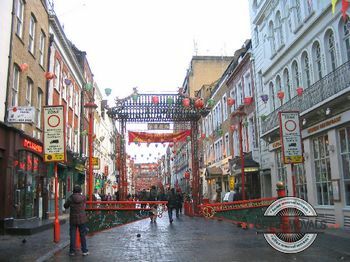 Chinatown is a term which described various places in London in the past centuries. Today’s Chinatown is part of Soho in the City of Westminster and is definitely one of the most culturally-diverse and interesting places in the capital. It is a busy commercial and tourists district, with many entertainment venues located on its territory. This does not mean that it is an uncomfortable place to live in. First of all, it is in a comparatively central location, which is always good. Then again, the large variety of stores and open markets, as well as the fact that it never gets boring in Chinatown make the place just plain perfect.